Attain at least 150 points on the IAAI-CFI® application through documented achievements in education, training, and experience. Every point claimed on the application must be documented by certificate, diploma, reference letter, transcript, or other acceptable method. Earn a 70% passing grade on a comprehensive, "closed book," proctored examination that is based on every job performance requirement in NFPA 1033: Standard for Professional Qualifications for Fire Investigator. The application must be approved prior to sitting for the examination. Investigators who hold the IAAI-CFI® certification are required to re-certify every five years by completing a Recertification Application. A minimum of fifty (50) points must be obtained since the last certification date. Twenty (20) points must come from work experience and twenty (20) points from training (includes two CFITrainer.net® modules). The renewal applicants are not required to retake the exam if they send in their applications before the expiration date. The IAAI-CFI® certification is accredited by the National Board of Fire Service Professional Qualifications (Pro Board) and the Forensic Specialties Accreditation Board (FSAB). You do not have to belong to IAAI to become a Certified Fire Investigator through the IAAI-CFI® program. Acknowledgement by an independent body that the investigator has demonstrated competence in all phases of fire investigation. Recognition by an independent body that the investigator possesses substantial field experience, as opposed to a primarily academic or theoretical background. Demonstration, through the recertification process, that the investigator is keeping current with their training and professional knowledge development. Measurement of these achievements using a standardized mechanism, as set by the IAAI-CFI® Committee. How do I earn the IAAI-CFI® certification? Download the IAAI-CFI® Application. Complete the application and return it to IAAI as directed, with the application fee. The application fee for IAAI Members is US$195. For non-Members, the fee is US$570. Please note that individuals who are members of a local chapter only do not qualify for the IAAI Member rate. Application fee is non-refundable. To obtain the Member discount rate, a non-Member may choose to join IAAI prior to filing the IAAI-CFI® application. Once you have submitted the application, it will be reviewed by the IAAI-CFI® Committee. If the application is approved, you will then be provided with instructions on how to take the proctored examination. If the application is not approved, you will be notified about the areas of deficiency and given an opportunity to make corrections. 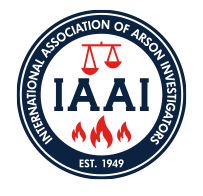 For detailed information on the full process of the IAAI-CFI® program, please read the Practices & Procedures Manual for the International Association of Arson Investigators Certified Fire Investigator Program. If an investigator isn’t an IAAI-CFI®, does that mean the IAAI thinks that investigator is not qualified or competent? No. The IAAI-CFI® program is voluntary and earning the credential is at the initiative of the investigator. Certification as a Fire Investigator by the IAAI does not determine who shall engage in the practice of the investigation of fires and explosions, nor does it substitute for any licensing or registration required by law. If an individual is not CFI certified, it does not indicate that he or she is unqualified to perform fire investigations. I already hold the IAAI-CFI® certification and need to re-certify. What do I do? Download and complete the IAAI-CFI® Recertification Application. Return the application as instructed with the associated fee (US$140 for IAAI members, US$520 for non-members). If you are not an IAAI member, you may obtain the member rate for recertification by joining IAAI prior to returning the Recertification Application. Recertification Applications should be submitted at least 30 days prior to your IAAI-CFI® certification expiration date. Application fee is non-refundable. Check your Pro Board Certification Status. The IAAI will submit your information directly to the Pro Board after you have successfully passed the examination or recertified your IAAI-CFI® . List of IAAI-CFIs. Please call the number below if the name of the person you seek does not appear on the list. For information on the IAAI-CFI® Program, call 800-468-4224 or email IAAI-CFI@firearson.com.